I really don't know where to start with this one. From a church, Cèilidh dancing, Portuguese traditions (and cakes), to sparklers, jars of dirt and a tunnel exit. This wedding had everything! 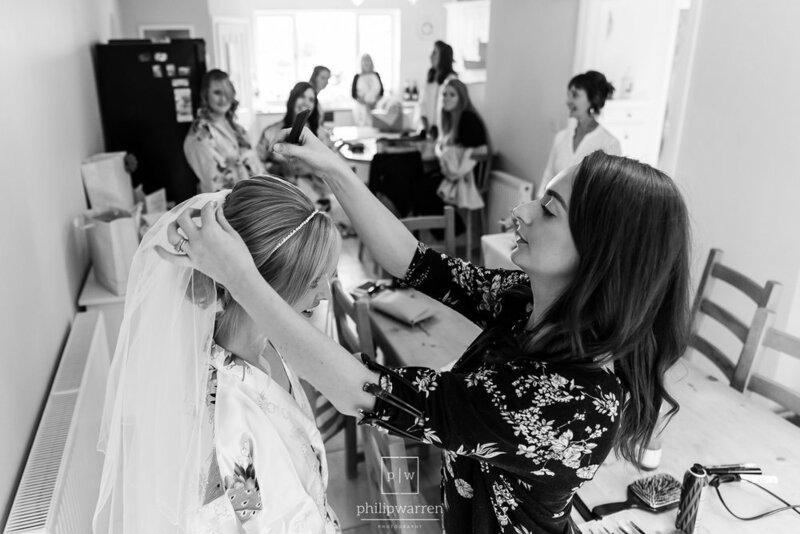 Erin, along with her bridesmaids got ready at her parent's gorgeous house not far from the Church in Bonvilston. One of the few weddings where nothing was rushed. Everything was super calm, and ultimately on time. 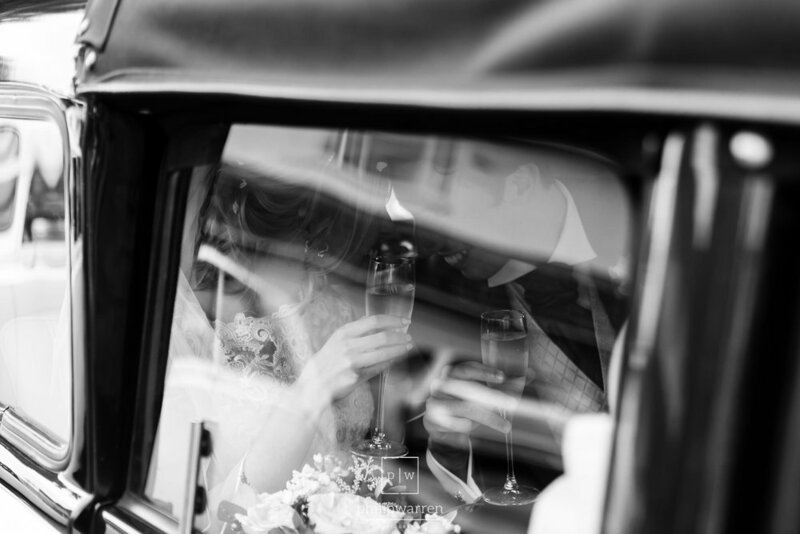 A few nervous glances out of the window at the ever-changing weather before during geting ready and it was tme to hop into the car for the short journey to the church. The church on the side of the A48 is quite a small church. Blink as you drive past and you'd miss it. But like most small churches, it's full of character and charm. Some nervous looks as Erin entered. 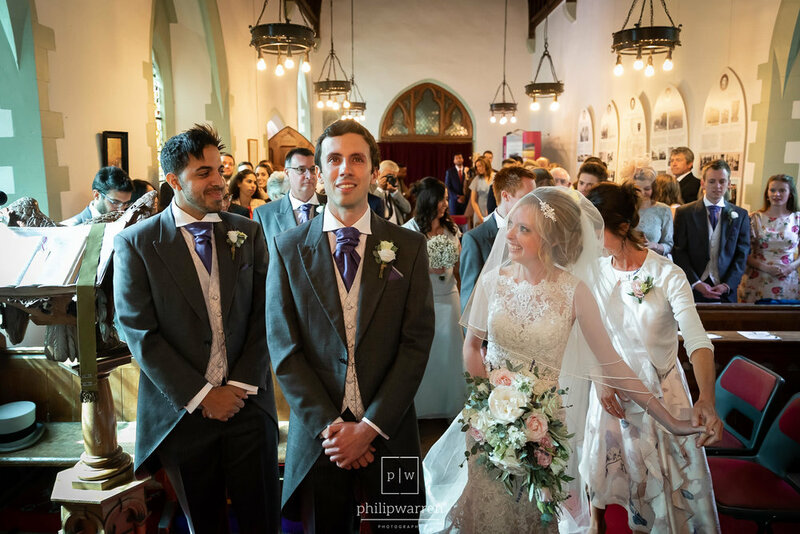 Jaime only turning around once to see his wife to be before remaining facing forward as she joined him at the front of the church. A lovely reading from one of the guests, a few songs and the traditional first kiss in front of the cheering congregation later, they were married. We moved outside to throw confetti before jumping into the cars to make their way to Court Colman. I won't lie, I had to google the "jar of dirt" thing, then remembered it was from Pirates of the Caribbean. A nice touch, along with giving the mothers some roses. Not the flowered variety, but an actual boxes of roses. Kudos to you Jaime. Top speech. With everyone seated I disappeared to back up my photos and relax a little. In the background, I could hear the sound of the guests tapping their glasses with their forks. I later find out this is a Portuguese tradition. They do this to make the bride and groom have a kiss in front of the guests. Which you can see the result of below in one of the images. During my little downtime, I often go for a walk to check out the surrounding and to see where I will take them for photos. I like to be very prepared, so I don't waste time. Another reason for checking out the surrounding areas was that the last time I was at Court Colman was 2 years ago. A lot can happen in that time. I grabbed the two of them to get them away for a spot of quality time away from their guests. I just take photos of this in the places I've scouted, pretty simple. All very natural and fun. Although that was the photos taken in the daylight, we shot some staged photos in the sunset and on the stairs. When you have surroundings like this, you have to take advantage of them sometimes! We lit what felt like 500 sparklers and had some fun with it before heading back in to continue with the party. Jaime and Erin decided to leave their wedding via a tunnel made by their guests in a preverbal mic drop finish. Such a classy way to end what was a fantastic day. Please enjoy their slideshow of their day. Usually these are around 80-100 images that show the story of the day. 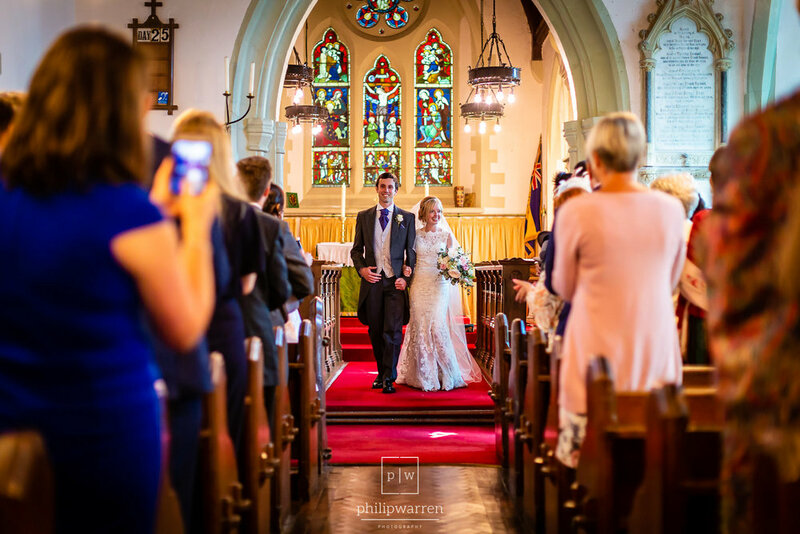 Getting married at Court Colman Manor and looking for a wedding photographer? 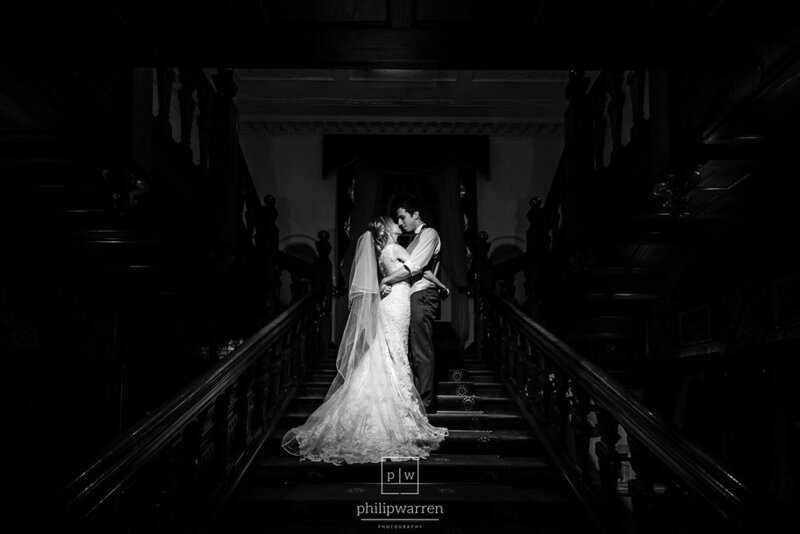 Please get in touch as I would love to shoot more weddings at this gorgeous venue.